Whether it's due to reports on his diva attitude, trade demands, or off-the-field issues, Antonio Brown has made headlines for all the wrong reasons in recent months. So, it's kind of refreshing that we can finally give you one at his expense. 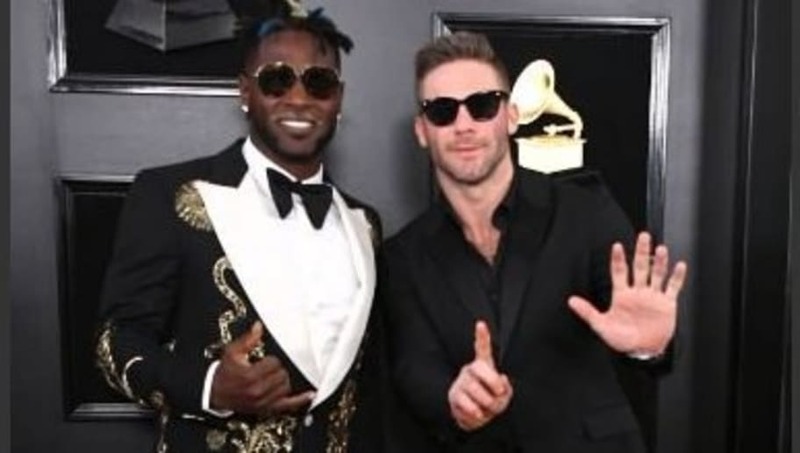 Getty Images threw some shade at Brown in the caption of his red carpet photo op with Julian Edelman at the Grammy Awards, referring to the All-Pro wide receiver as Edelman's guest in the picture's description. Looks like a disgruntled Steelers fan might have been writing the caption for that one. Brown has made himself one of the NFL's biggest offseason storylines and his trade drama with the Steelers isn't going away any time soon. It's highly likely the All-Pro wideout will be wearing a different uniform in 2019, but no matter where he lands, Brown will be a welcome addition to his new team. And maybe, if he's lucky, he may just see his name in photo captions for his introductory presser.